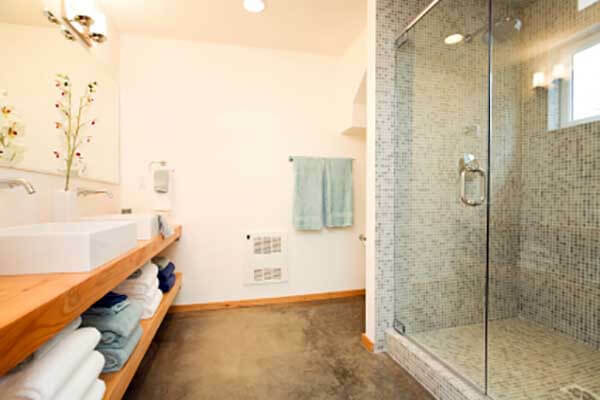 If you are thinking about bathroom renovations for your Savage home, call Titus Contracting! We can help with every step of your renovation project from start to finish. Our team is here to assist you in turning your dreams into a reality! We have an experienced group of craftsmen who take great pride in their work and in their customer service. Our award-winning company completes bathroom renovations of all types and sizes. We also help with other renovations, such as kitchens, basements, additions, theater rooms and more. Your bathroom renovations begin when you meet with us at your home. We’ll discuss your project in detail to ensure we know exactly what you want, need and expect. We can work on a preliminary budget as well. We will then take dimensions and other measurements. Then we will complete a preliminary scope of work and investment range. From there, we’ll review your bathroom renovations with you to ensure we are all on the same page in terms of design and budget. The project will then be formalized with a signed Project Development Agreement. We will provide you with conceptual plans for your design and you can let us know what you like or don’t like. Then we will meet with our subcontractors at your home, where they will bid on the bathroom renovations work. You get to meet them as well and ask any questions you want. We will collect all of the bids while you do the fun stuff – pick out fixtures and finishing touches for your new bathroom! Finally, you will be presented with a complete Scope of Work, which we will fine tune together to ensure the bathroom renovations are exactly what you want. We will get all of the necessary work permits, and then we will start your renovation project! If your bathroom is looking a little ho-hum these days, you might be thinking about adding a bathroom suite in your lower level. But before any bathroom renovations can occur, you need to think about your budget. 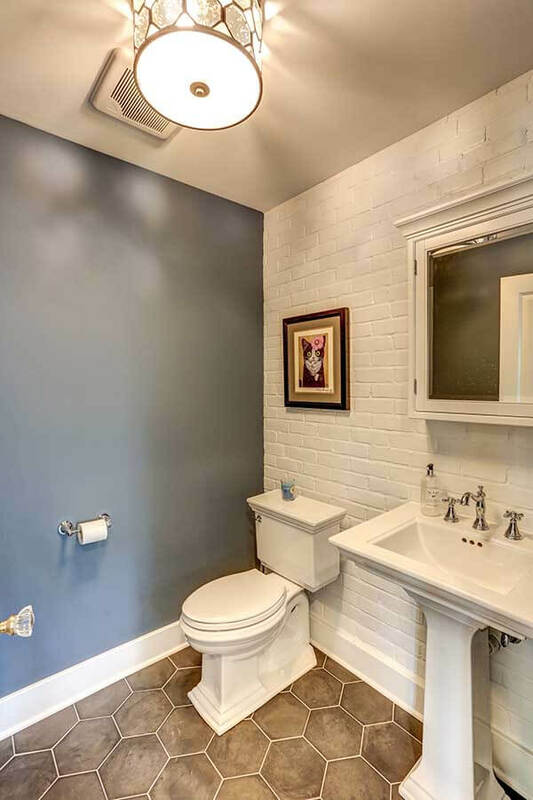 First of all, think about what you want to be done to your bathroom. There is a big difference between having a new vanity installed and redoing the entire room! Take a look at your personal finances to see how much you can comfortably spend. You are also going to want to think about how many more years you will be living in your home. If you plan on selling within a few years, you are going to want to be more investment-focused; as in, you are going to want to think about what bathroom renovations will possibly appeal to a potential buyer. But if you plan on staying in your home for several years or decades, then your bathroom renovations should be all about you and what you want and what will make you the most comfortable and happy. Bathroom renovations are often a major selling point for buyers. By tackling a bathroom task, in past years, cost and recovery reports show that the average homeowner can expect to receive 58% of your costs back. A fast and effective refresh in the bathroom may involve simply switching out a commode, flooring, tile, and light fixtures. Or include adding an expansive space and skylights for both privacy and more natural lighting. For starters, Titus Contracting project managers can help you maximize what you already have, on a budget. If you want to transform and upgrade your real-life, everyday bathroom into a five-star hotel experience that prospective buyers will love, without overcapitalizing. We know how to create havens with a wow factor. And when you are tallying up the final numbers, be sure to leave yourself a bit of a cushion in case there are some extra expenses that you did not consider. Set some money aside just in case there is an extra expense you didn’t think about when figuring out your budget for your bathroom renovations. Other costs to factor in: the cost of new fixtures, such as lighting, toilet, vanity and other bathroom accessories, even new bathroom rugs or a new trashcan. And if you want some luxury items, like a towel warmer or steam shower, they should be included in your budget as well. Let’s Get Started with Your Bathroom Renovations! From hiring a professional to discovering bath projects you can easily acheive, our inspirational design ideas, ultimate planning guide, and expert advice will guide you through the bathroom renovation process. For more information on bathroom renovations in Savage, call Titus Contracting at (952) 444-2301 or Contact Us.